We are starting the process for BCWG 2020 in Fort St John. The First part of the selection process involves identifying all those interested in the role of zone rep. I have attached a document that describes what the role entails. Each applicant will need to send in a letter of support from their local association president and one other ringette reference. All applicants will be screened using our CYA screening policy. If there is a member who intends to apply for a coaching position for the zone team they are ineligible to be the zone rep. All applicants can send their reference and letters of support to the Ringette BC office. The deadline for all applications is April 23, 2019. 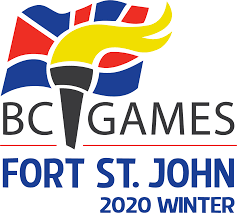 The BC Winter Games are applicable to Second Year U14’s and First Year U16’s. This time, it will be the 2005’s and 2006 birth years.